Just in time for Halloween season, Gigi Hadid rocks seductive lace looks for Vogue Japan. 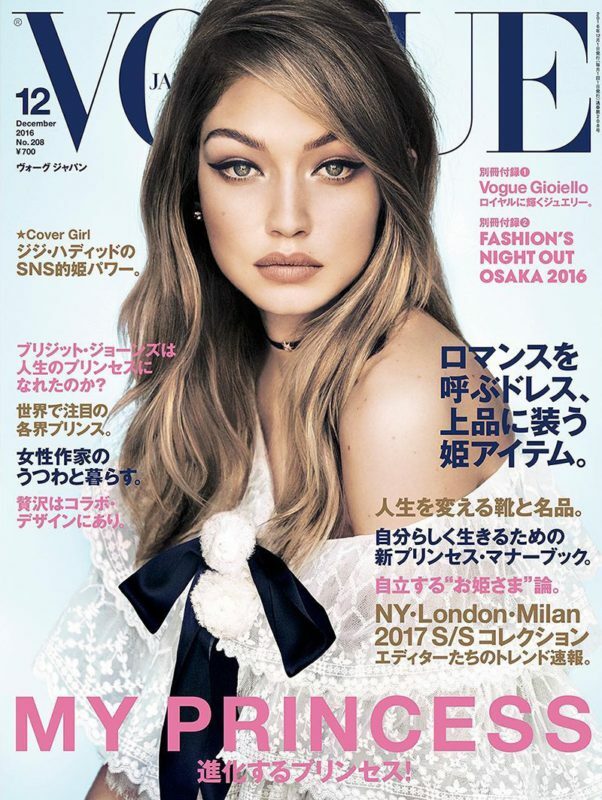 Looking pretty in lace on the 2016 December cover of Vogue Japan, sees the blonde beauty wearing a stunning selection of lace outfits from an off-the-shoulder Chanel dress with tiered ruffles to other lace-adorned styles from the autumn winter women’s designer clothing collections. Fashion editor Anna Dello Russo selects a range of lingerie pieces as well as military inspired outerwear and the images were captured by Photographers by Luigi & Iango. Gigi Hadid has also been captured in Fendi for the November cover of Harpers Bazaar and creative director Karl Lagerfeld captured Gigi for the spreads.